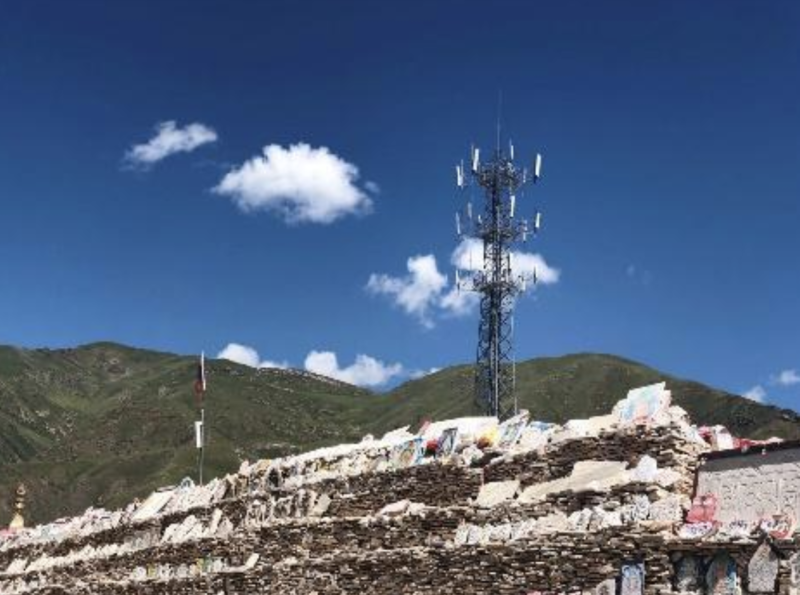 In July 2018, a team from mobile industry association GSMA’s #CaseForChange project visited Yushu, a remote mountainous area in western China, to see what impact the installation of mobile broadband coverage has made to the lives of the village school’s 50 students. Aged between seven and 15, these students have experienced profound changes to their education since China Unicom installed a 4G network and digital classroom service in September 2017. #CaseForChange is a GSMA campaign that aims to tell the most impactful stories of human change enabled by mobile technology around the world. So far, the campaign has covered more than 130,000 kilometres across 19 countries, releasing 19 video stories. The GSMA team, accompanied by China Unicom and a local influencer, travelled to Yushu in July 2018. Here they recount what they discovered. Visitors to Yushu, a remote area in the west of China, are rewarded with views of magnificent mountains and the Southern Qinghai Plateau. The latter is the source of three major rivers in China - the Yangtze River, the Yellow River and the Yarlung River. The water flowing across the plateau is crystal clear. Blue sky, white clouds and the sun shining over streams and grass - the richness and harmony of the colours here combine to create one of the most spectacular natural views found on earth. Yushu was hit by an earthquake in 2010. Since then, its eponymous city has been reborn. Today, urban construction and digital development in the city is quickly catching up with the rest of China. Big brand stores and mobile phone shops are everywhere. Even the smallest food stalls accept mobile payment. However, while everyone in the city is getting used to the convenience and efficiency of mobile technology, there is still a lot of work to be done to improve connectivity in the area’s remote villages, due to the difficulty in providing access to power, transport and other utilities. One such village is Duogai. Situated on a mountain that rises from the plateau, the village is 200 kilometres from Yushu City, though the drive takes seven hours. The village has a school for 50 pupils who come from the families of local herdsmen. Many of the students board at the school due to poor conditions at, and distance from, their homes. The headmaster established the school with the intention of providing a better education for children on the mountain. He wants to teach them the skills they will need in their life and careers so that one day, they can leave the mountain and have a better future. But the village’s isolated location has made life hard. In the past, villagers would have to walk 18 kilometres just to make a call. The biggest challenge the headmaster has faced has been recruiting teachers. Several started work at the school, but left due to loneliness and frustration. Everything changed in September 2017 when, after an arduous period of construction, China Unicom laid dozens of kilometres of optical fibre and deployed the first 4G base station to provide coverage to the village. After connecting the village, China Unicom also introduced a digital classroom service to the campus with modernized facilities, including a digital whiteboard, audio-video control panel and projector. Through the touchable whiteboard, the teacher can access the remote ‘Ban-Ban-Tong’ cloud service, which contains vast amounts of educational content. They can download the appropriate courseware from the service and use it for teaching. The learning experience for students has become much more enjoyable, as it has changed from solely textbooks to multimedia and interactive learning. Even after school, the students prefer to stay in the classroom to watch films downloaded from the network. In the school, there are five volunteers from Nanjing Institute of Technology - the third group that the university has sent to the school. However, unlike the previous volunteers, they could access mobile broadband, which made a huge improvement to their stay and teaching experience. Yueying Ma, who teaches grade 2, told us: :I’ve been here for half a month. According to past volunteers, coming here means disconnecting from society and family. Many people were very hesitant to come. Now the situation is totally different. I feel the same as I did in Nanjing. I can contact my family and friends anytime." "More importantly, the way of teaching has changed. In the past, we had to carry teaching materials and record videos in advance as much as possible. Now that we have a mobile broadband network and the Ban-Ban-Tong service, we can prepare courses online and make adjustments based on the students’ feedback." "The students here are very kind and desperate to learn. They are all very conscientious and diligent in the class and very kind to their teachers. The kids pick flowers on the road to make garlands for us. In their eyes you can see the desire and respect. We are all very happy!" This new connectivity means that for the first time, the children here in the deepest mountains of Yushu are able to access the same online educational content as children in Beijing or Shanghai. While speaking to them, we can see a light in every child's eyes, sincere and simple. When nature gives us great scenery, it also sets us steep obstacles. If everyone, regardless of how remote they are, can enjoy the advantages of our digital society, the digital divide will be greatly reduced. It is no longer efficient nor sufficient to rely on traditional tactics of sending people and physical materials to those who are underserved and underprivileged. Instead, we should leverage the power of mobile broadband and information technology to empower educators and to reach people in the most remote places so they can be "as close as a neighbour" and part of the global digital society. With such a fair and equal way to access education, the impact will be real and significant in shaping the future of those children blocked by mountains, their families, and our society. Jianzhong Li from Yushu Unicom told us that the governor of Yushu state is known as the "Governor of Education", because he is proactive in his efforts to reduce the student drop-out rate in the region. He has made strong commitments to improving the local education situation since 2012. The whole of Qinghai Province is now proactively implementing China’s national Network Empowerment strategy - "Network + Education" is the common goal of local governments and mobile operators. Since 2017, China's three major mobile operators are cooperating to speed up network coverage in every village in the country. After witnessing the effect of the changes in Duogai village, we believe that mobile broadband technology has brought, and will continue to bring, transformational effects to Qinghai, both economically and socially. Mobile communications are connecting everyone and everything to a better future.